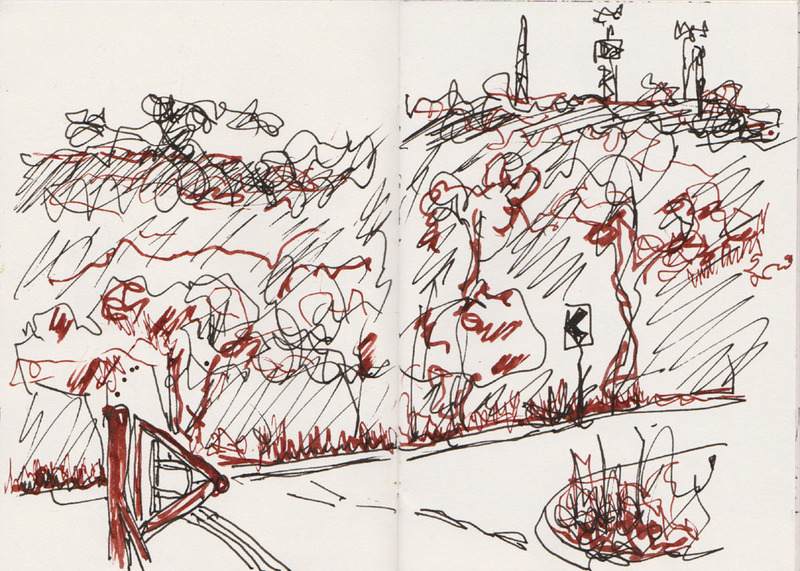 Like many sketchers I always carry a small sketchbook in my bag for sketching wherever I go. These days I frequently take a larger book as well, that is if I remember it. 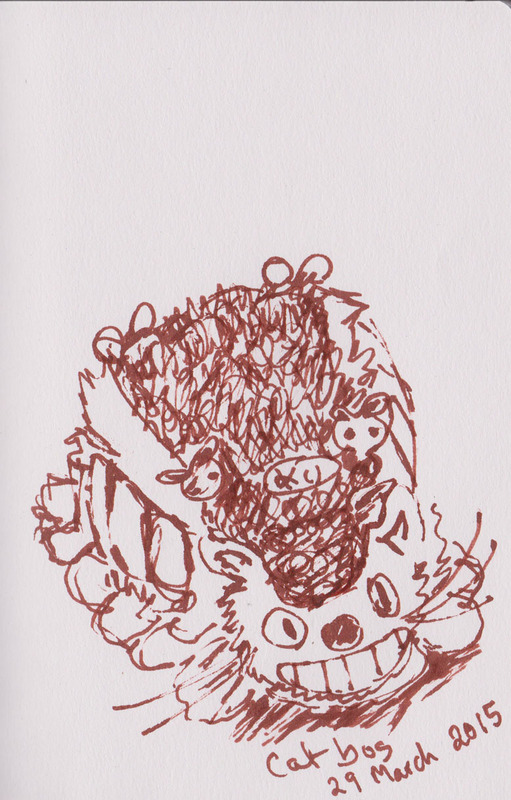 Today I forgot the larger book so I sketched in the smaller one instead. 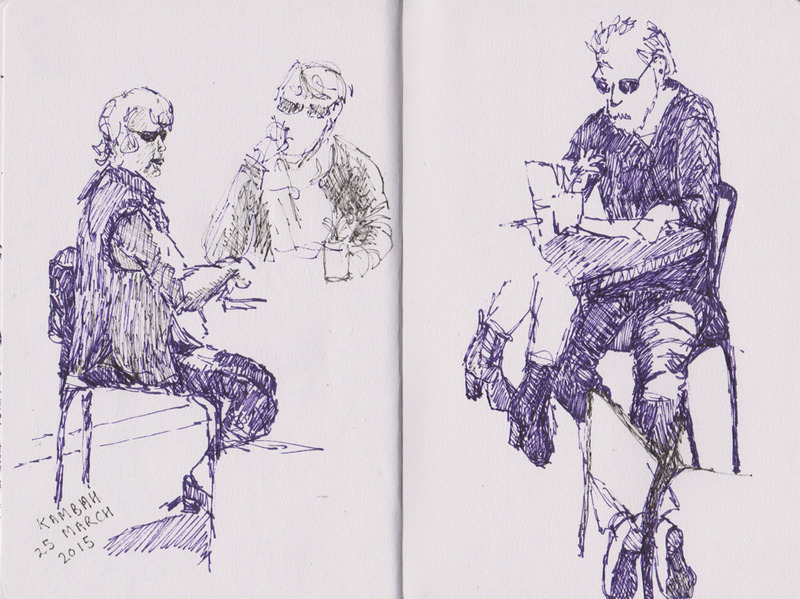 In the small book I found two other drawings which I haven’t previously posted so here are two quick drawings and a slow one to finish off. 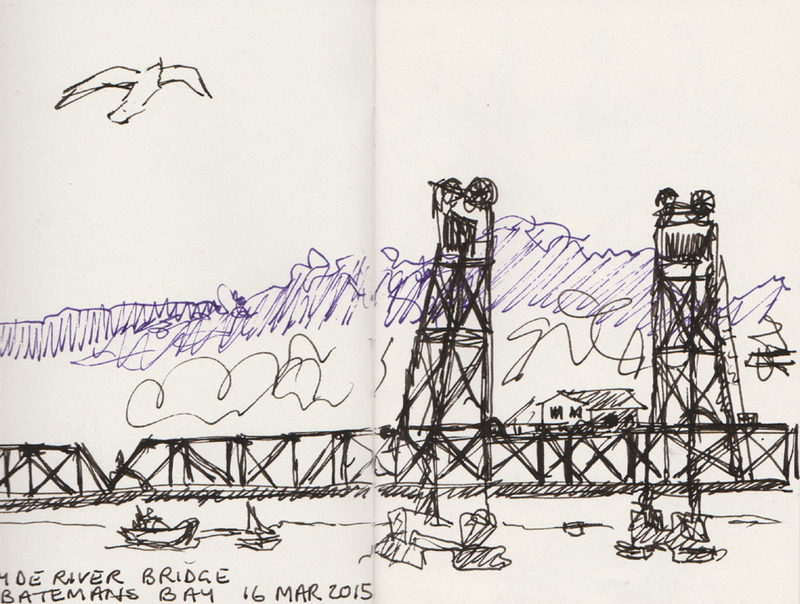 Firstly a sketch captured while I was scoffing fish and chips down the coast several weeks ago. Most people sit on the back verandah of this fish shop, solely for the view. Fending off marauding seagulls may also be necessary. Yesterday I was sitting at the green waste re-cycling centre whiling away a few minutes while my partner tied a tarp over our load of soil. This is what I could see in front of me. 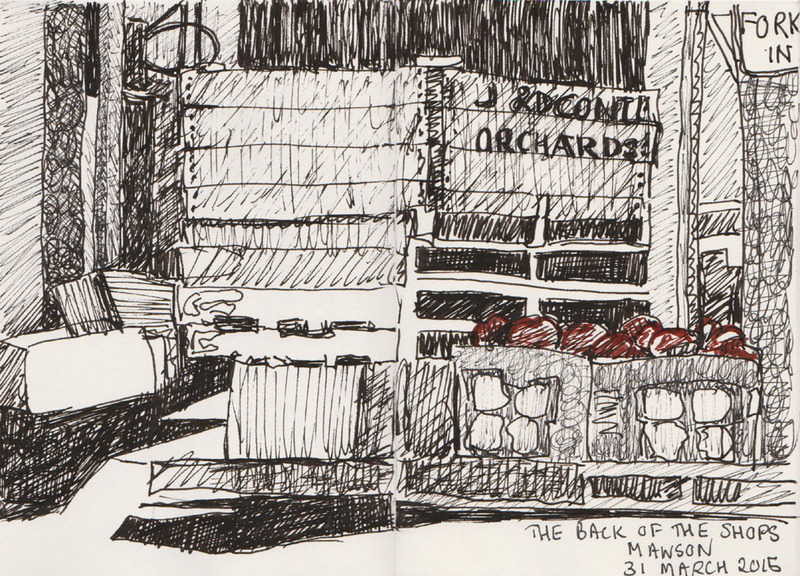 Finally I spent rather more time on this drawing of the pallets at the back of the fruit shop, Jabals Halal Market, at Mawson. There was sad news today that Betty Churcher, to date still the only woman to be the head of the National Gallery of Australia, died earlier this week at the age of 84. 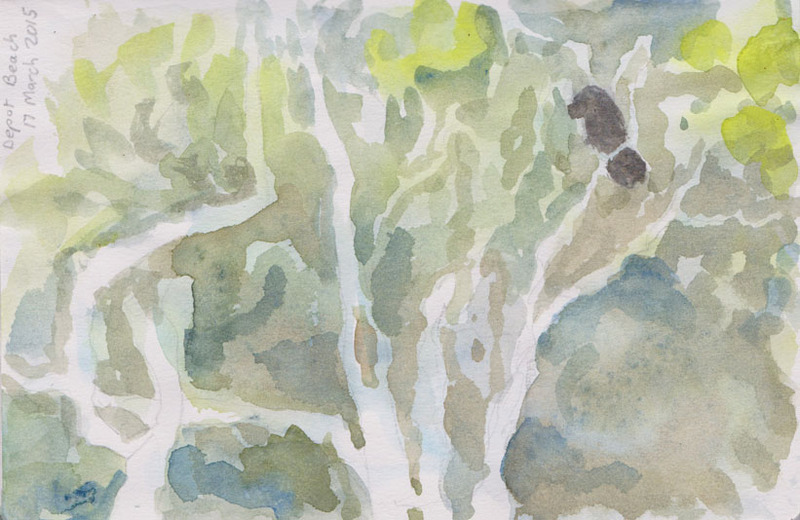 It was a cruel irony that, prior to her death, this champion of the visual arts was losing her sight, because of a melanoma in one eye and to macular degeneration in the other. 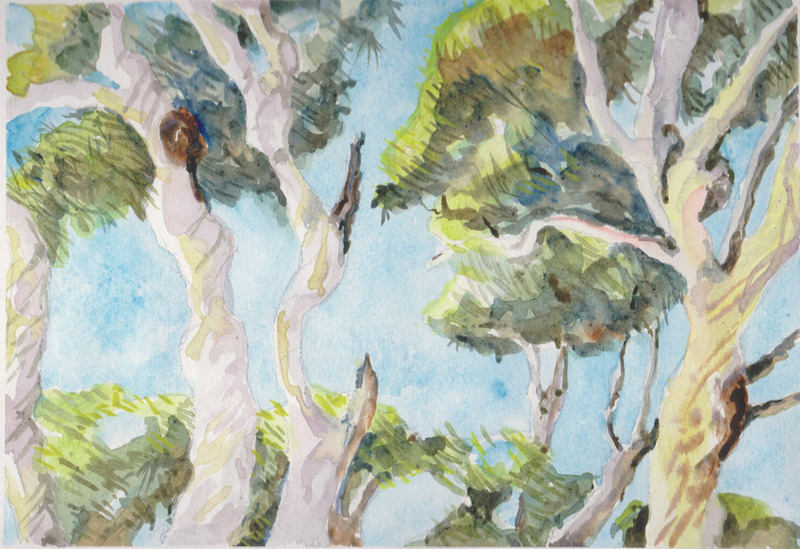 What will stick in my mind is her commitment to sharing her knowledge of art with the broader Australian public and her commitment to drawing. On realising that her eyesight was failing, Churcher determined to visit her favourite works of art both in Australian and international galleries. The result are two stimulating books, Notebooks and Australian Notebooks which include her drawn studies of works of art. 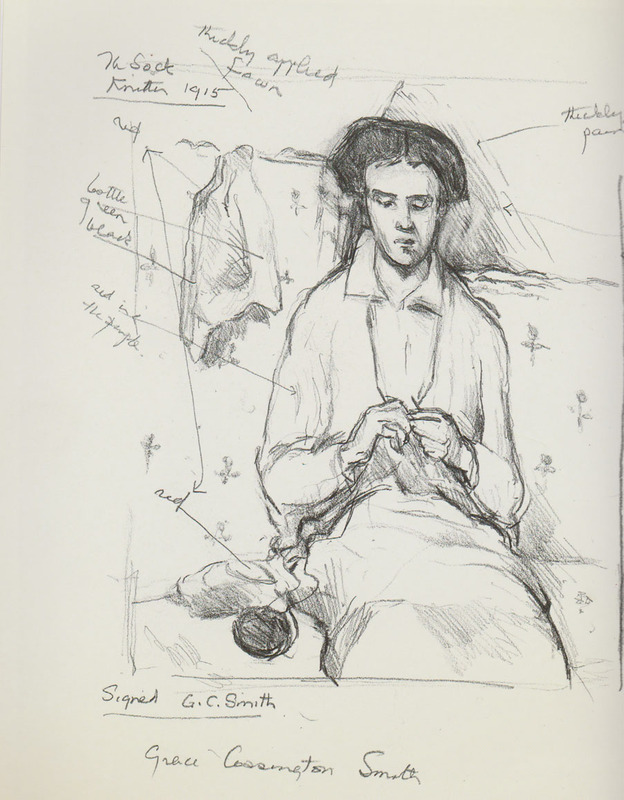 Her studies were made with such close observation that her drawings often reveal elements of extremely well-know paintings that I for one have totally missed. She was truly a national treasure. So so long Betty, we’ll miss you! I have run into a bit of a problem with my fountain pen, the Duke 209 with the bent ‘fude’ nib. Having used up the ink in the cartridge provided I was keen to change over to a different colour and brand of ink. The only problem was that as soon as I did so my pen just stopped working as well as it should. It was scratchy and the ink wasn’t flowing. I figured that as the ink had dried out since I used it last, that there might be a problem with a blockage to the ink flow. Quite frustratingly the nib on my pen didn’t want to come out of it’s holder, so I had great difficulty trying to see if dried ink was the issue there. I could manage to get some indifferent and inconsistent lines out, but I thought that pushing the pen to get those marks was probably causing some damage as well. Enter Youtube. There’s no doubt that you can find just about anything you want (and plenty of things you’d rather not know) on the internet so I did a search for fountain pen troubleshooting to see if someone out there could help with my problem. And they could. It seemed that I had several standard problems, the nib wasn’t wet enough, the tip of the nib was out of alignment and possibly my nib needs polishing, although I haven’t checked that last one out. I followed the suggestions made at The Pen Habit and at least now I have my ink flowing more smoothly and the scratchiness of the pen has just about disappeared. My partner finally managed to get the nib out by brute force and the nib has been cleaned. Whether this pen will continue to work well into the future is something I’ll just have to find out. At least it was inexpensive so I feel I haven’t lost much if it does ultimately turn out to be dodgy. 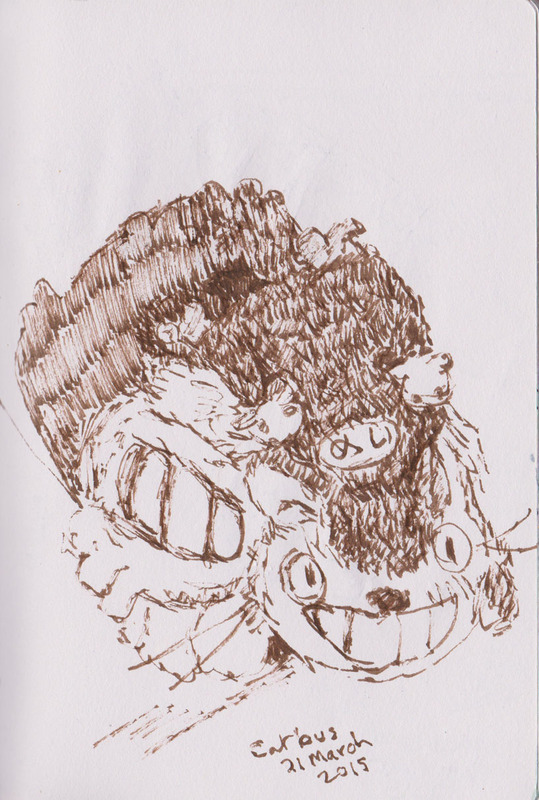 Here is another version of the Catbus, following pen modification. 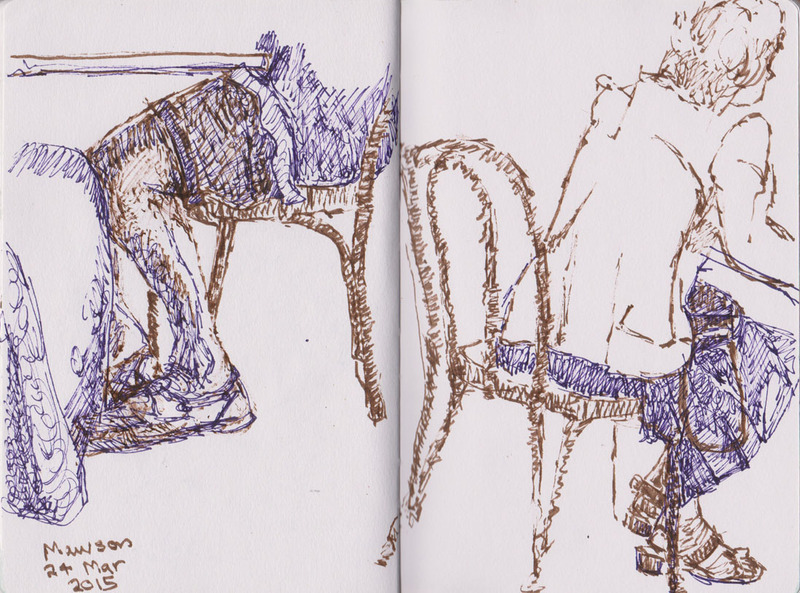 In my ongoing attempt to make more interesting cafe drawings I’ve been experimenting with drawing people’s feet and legs. This, of course, also has the benefit of not having to look at the person’s face while you try to draw them! I started yesterday with this drawing and what do I see but I managed to sneak in a full figure after all. The composite nature of these drawings does mean that the scale isn’t consistent between the two pages. But I’m prepared to forgive myself. As soon as you think you’ve got a strategy then everything changes again. Here are today’s legs and a bit more. I’d done what I could with the legs, when the people whose feet I’ve drawn on the lower right hand side of the page, insisted on moving their table right next to ours (we were outside so it’s fair game). At such close proximity even my foot drawing strategy was endangered. I was just about to settle down to read the newspaper when I noticed the gentleman who I’ve drawn in the upper right hand side of the page. He was a good distance away and was totally focused on reading his paper. Not only that but he was dressed head to foot in black which really brought my attention to drawing the shadows that were cast on his knee. And no, the poor man doesn’t have 6 legs that’s just where he ended up on my page – next time I might give him a page all to himself. When my watercolour set started filling with flying sand I realised that today was not going to be one for plein air painting. I got this far when commonsense overtook me. It wasn’t a pleasant day. The nor’easterly was whipping up the waves as well as the sand. To give you an idea here are some of the waves that were breaking on shallow rocks off the beach. 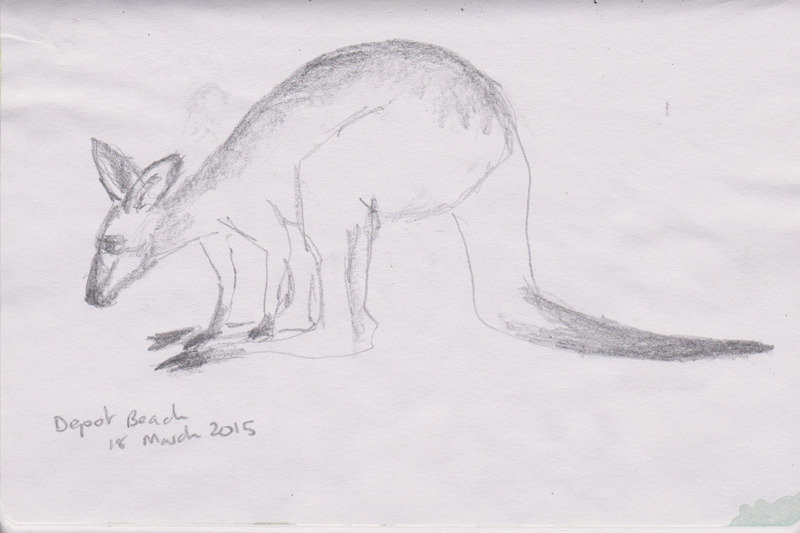 We were staying at Depot Beach, part of Murramerang National Park, for a few days. 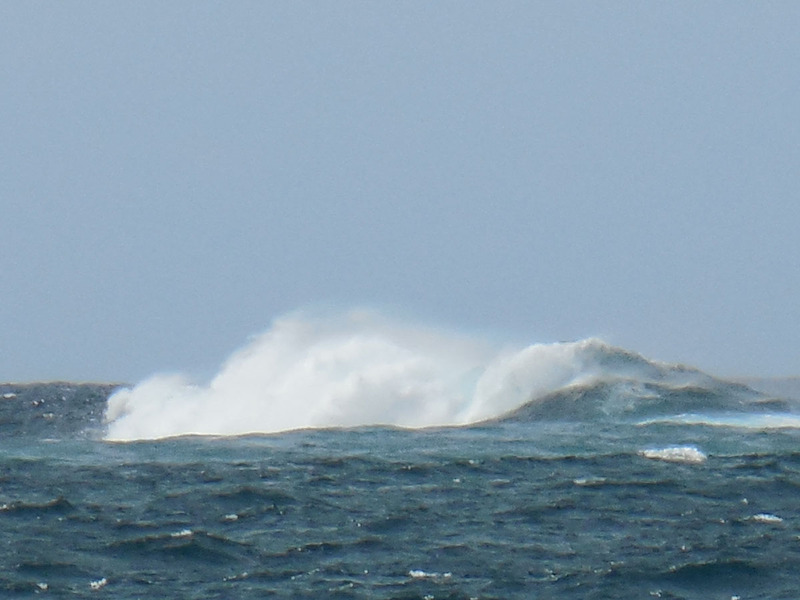 Usually the wind doesn’t really get going until the afternoons onshore breeze, but not this trip. My partner retreated to the calm of our cabin while I made a quick graphite sketch of the trees so I could paint them later. Determined not to leave the beach without taking a short walk, I made my way along the rock platform which was partially sheltered from the wind. Here I found a cluster of Zebra Top Shells (Austrocochlea porcata) clustered around the base of a rock, on the side away from the incoming sea. 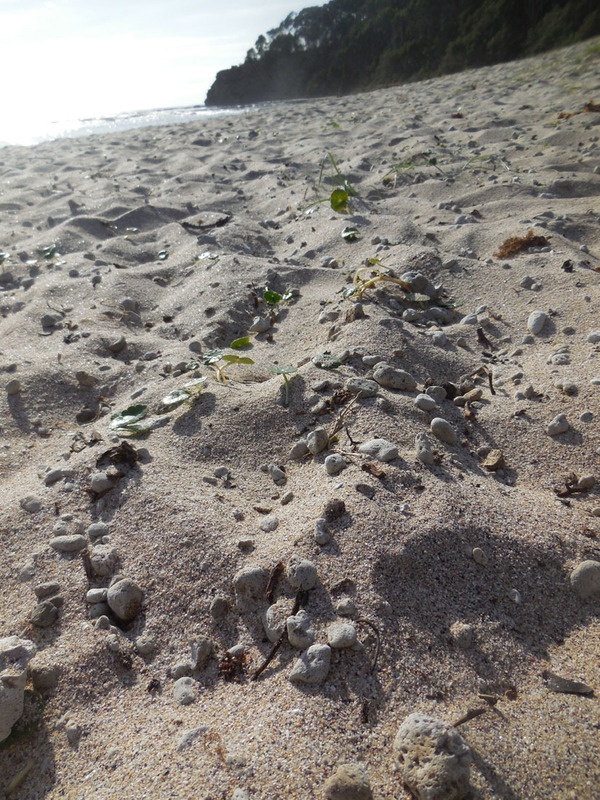 The other unusual sight on the beach were myriad pebbles and larger pieces of pumice. These have been washing up on Australia and New Zealand beaches for over a year now. The Pumice comes from an underwater volcano located on the ocean floor on the Kermadec arc some 1,000 kilometres north of NewZealand. Later that evening I sat down to try and reconstruct the painting I tried earlier in the day. I was pretty pleased with the result. Kenneth Mcqueen, Under the Casuarinas, Marouchydore, c 1938, Queensland Art Gallery. 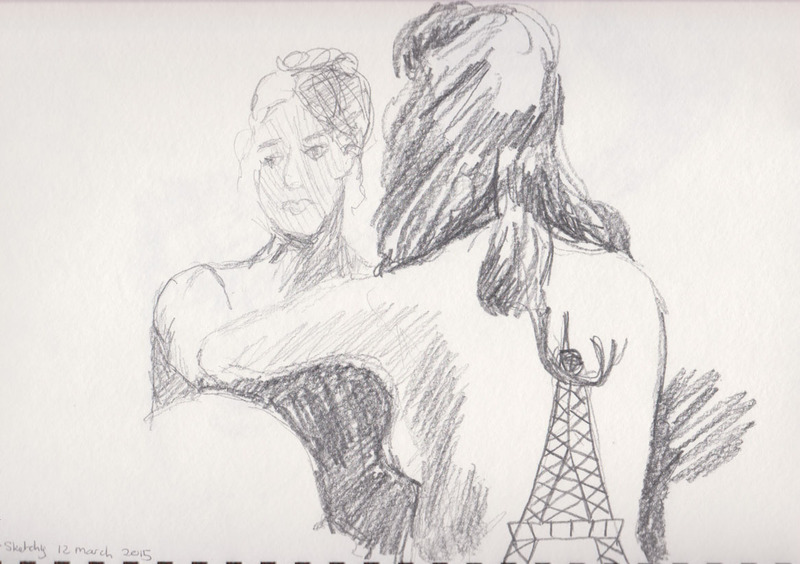 Last night we went to the National Gallery of Australia (NGA) for my first event with the Dr Sketchy group. We had only heard about this particular event earlier in the week, and were lucky to get tickets as it was quickly sold out. I had only read about these events before so if you haven’t been to one this is the risque version of a life drawing class and includes music, food, drink and entertainment as well as the opportunity to draw. Last night’s theme was Impressions of Paris, inspired the current exhibition of the same name, featuring the works of the French artists Degas and Lautrec and Daumier. We had burlesque dancers and performers, ballet dancers and a body painting artist on hand. We started off with a series of two minute poses, which then developed into five and ten minute poses. There was a break where all the participants were asked to decorate a ‘pastie’, before we were all asked to continue on with the drawing. 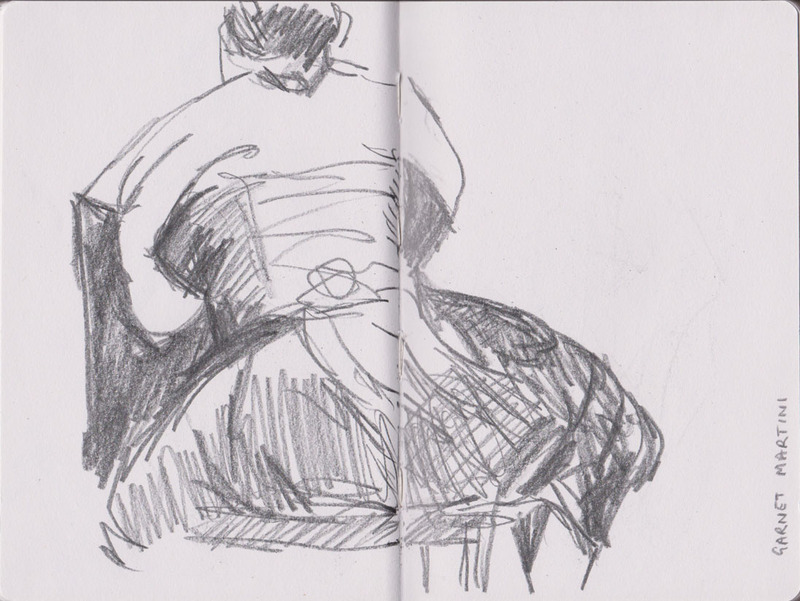 I had forgotten how fast the pace can be with life drawing and I quickly whipped through the pages in my sketch book. 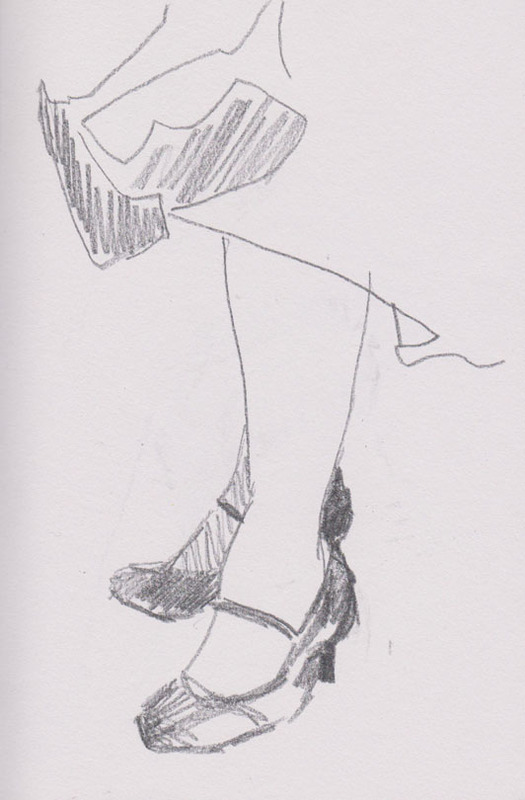 I remembered my life drawing instructor reminding me that if it all became too much I could just focus on one part of the model’s anatomy, so here are Ms Bandersnatch’s feet. 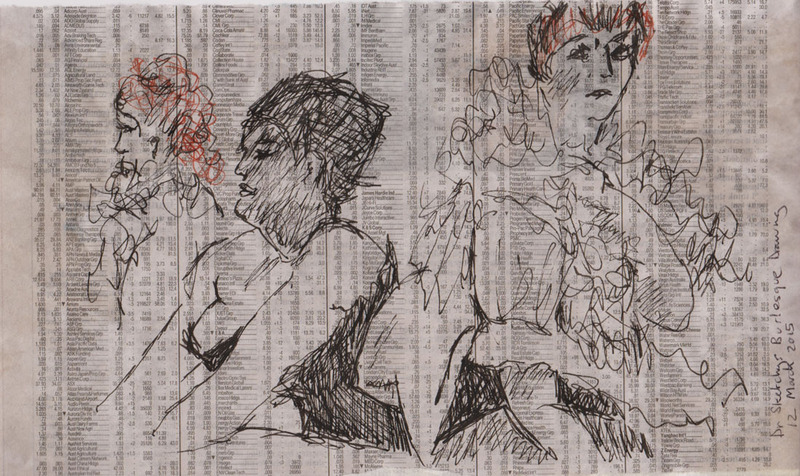 The drawing continued with short breaks for the models and artists, the finale of the evening was a twenty minute pose. 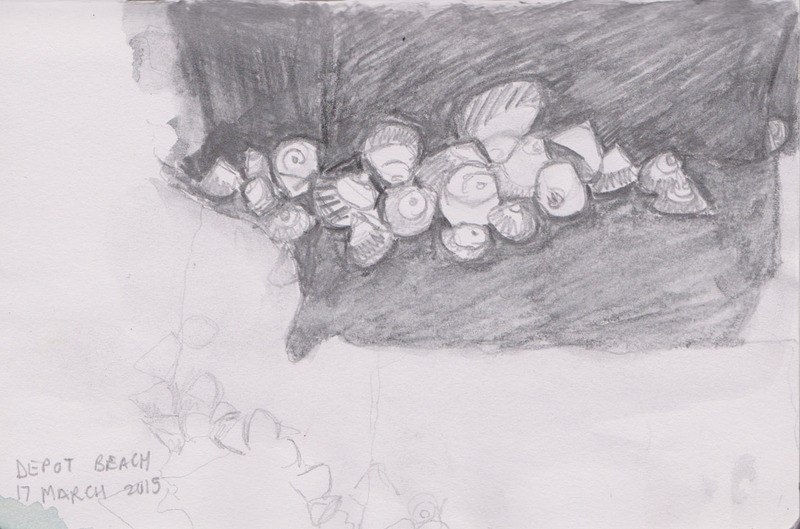 I was absolutely thrilled when the voluptuous Ms Garnet Martini selected my sketch as her favourite of the evening! My reward was a set of pasties made by the talented Ms Rusty Blaze – thankfully Ms Bandersnatch was on hand to demonstrate how best to use my new accoutrements. We had a great time and enjoyed the company of the other artists at our table. We plan to attend future events, as long as we can get in fast enough to buy the tickets.